WHO NEEDS AN ACCREDITED BUYER REPRESENTATIVE WHEN BUYING SOUTH OKANAGAN REAL ESTATE? To ensure you’re buying smartly, you need a buyer’s agent when purchasing Penticton and South Okanagan Valley real estate. If you’re a first-time buyer, moving or unfamiliar with the Penticton and South Okanagan market, or buying for investment and need negotiating help, find a buyer’s agent who puts your interests first. Chad at Remaxcan help. I do NOT charge a fee to my REMAX Realty buying clients for services as an Accredited Buyer Representative when purchasing Penticton and South Okanagan Real Estate. The fee’s paid from the seller’s commission. Now, even though the fee’s paid by the seller, the seller’s informed in writing I exclusively represent, the interests of my buying client. That, I, in my capacity as an Accredited Buyer Representative, in no way owe any duties to the seller. 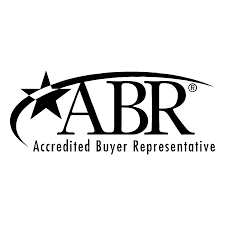 Because of my ABR status, my buying clients enjoy the security of knowing they have a highly qualified professional representing them, instead of the seller.